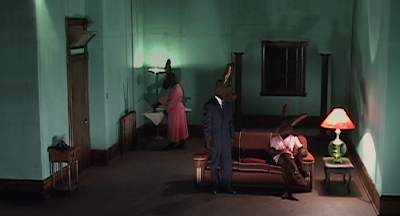 Inland Empire is the David Lynch film that even puts some David Lynch fans off.You could say perhaps because it's his most self-indulgent film. It's certainly his most "abstract" since Eraserhead, without the more conventionally Hollywood story elements films like Mulholland Drive and Lost Highway at least had to anchor them. But on the other hand, that can be a strong reason to prefer it. It certainly holds more mystery than a lot of his films, and will draw some people to keep revisiting and studying it, whether or not they particularly prefer it. If I were to try and break it down to a quick, one-sentence pitch, I suppose I'd say: an actress (Laura Dern, who also produced) lands a role in a cursed film. But that's whether the straight forward accessibility ends. The film turns out to be a remake of a film that was never finished the first time around, because the two leads died during the filming. Meanwhile, everyone is warning Dern and her costar (Mulholland Drive's Justin Theroux), not to have an affair with each other, which seems easy and silly, since neither are particularly interested in each other. But as they embark on the film, time seems to collapse, worlds cross into each other, and people start inhabiting other peoples' lives. At one point Dern is talking to Theroux and remarks, "this sounds like dialogue from our movie,' suddenly to be surprised to discover that she IS on set, acting in front of the cameras. But even that makes it sound a lot more simple to understand than it, as mysterious characters come and go, and Dern seems to take on more than just the two personalities. Sometimes the characters are in LA, sometimes they're in Poland (and speaking subtitled Polish), and sometimes they're inside the world they've seen on television with the rabbit people. Yes, there's rabbit people. Still, if you're familiar with Lynch's past work, the world of Inland Empire is a little more navigable. Recurring themes and concepts from past work can help clue you in faster to what's going on here. You could certainly watch this film and never even begin to grasp that Dern's actress is taking on the life of the Dern's character. 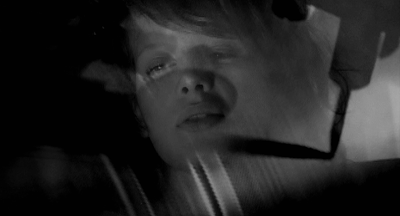 But remembering similar switcharoos in Lynch's past films will probably push you along to figuring that out. On the other hand, though, I don't think even the deepest Lynch scholar could definitively tell you what every strange clue and moment mean. And that's partially because I don't think everything has a direct one to one, this means that, meaning. Lynch is following deliberately stylized threads, and following emotional plot threads more than strictly logical ones. Something could easily be in this movie because it came to him in a dream and it felt right; so at a certain point analysis breaks down. But that doesn't make it any less relatable or powerful if you let yourself just go with it, and accept that your subconscious can follow the film down paths your rational mind might get stuck on. It helps that Lynch is a master of creating vibrant images and sounds, and is able to manipulate music and pictures to create moods and atmosphere better than almost any director out there. If he wants to make a scene creepy, he can do it better than any fancy horror director. Combine that with the cast he's assembled, including Harry Dean Stanton, Jeremy Irons, Grace Zabriskie and of course Laura Dern, who gives the performance of a lifetime. 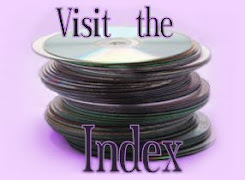 Now, Inland Empire has been available as a 2-disc special edition DVD since 2007 from, of all companies, Rhino. This is the film Lynch shot on digital video - and standard def video at that, so it's often been postulated that it's the one film of his that there's no point in upgrading to blu-ray. Still, somebody did it. 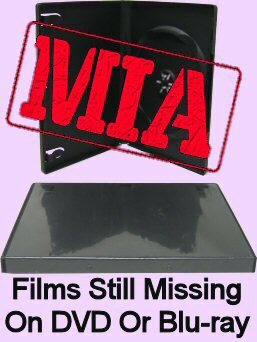 In 2010, Studio Canal (who manages to release these great special editions of his films because they're the company that made the movies with him in the first place, issued it on Blu in the UK, with a bunch of exclusive extras. So, does the film actually look any better? And how about those new extras? Let's look at that now; and after, we've got even more Inland Empire related releases to discuss. 2010 Studio Canal blu-ray on top; 2007 Rhino DVD below. 2010 Studio Canal blu-ray left; 2007 Rhino DVD right. Well, we do see a little more detail, but that's largely because the darks have been lifted a little. We can see Stanton's ear better, for example, in that close-up comparison. Edges and lines might be a little clearer, but it's really just the image being tinkered with rather than any benefit of enhanced resolution. Still, I think it's good tinkering, not like those movies that have been DNR'd to death or had their blacks crushed. Colors have shifted slightly and other little tweaks have been made, and you can tell someone made an effort to improve upon the DVD despite not having much to work with. Some artifacts seem to have diminished thanks to the better compression, too (this is a dual-layer disc, by the way). But it's all very minor and if you're not really scrutinizing the image, it could be entirely lost on you. The sound is a more distinct upgrade, and an area very important to Lynch's work. The Rhino DVD was pretty good in this regard already, but fans will definitely prefer the DH 5.1 and 2.0 tracks. But even if you've upgraded, definitely don't throw away your DVDs! The blu has some great extras, and I'll definitely get into them; but the DVD's extras are plentiful and as essential as any special features ever have been. The biggest deal by far is "More Things That Happened," which, in the vein of the massive collection of restored deleted footage to Lynch's Fire Walk With Me and Blue Velvet blu-rays, is almost 80 minutes of additional Inland Empire footage. A few scenes are stretching things a bit, but most of the scenes are almost as gripping as the film itself. There's a really impressive collection of monologues Dern recorded with "Mr. K," that could almost be a project onto themselves. And there's one more of those monologues tucked away on the first disc as an easter egg. There's also Lynch (Two), a roughly thirty minute behind-the-scenes documentary which is made up entirely of on-set footage. 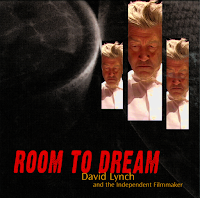 Its a totally fun and enlightening look at Lynch's process, and can give you some stronger insight into the film by seeing ideas come up with - and actors directed - in the moment.And there's an about forty minute interview with Lynch where he talks about the origins and making of the film, starting with the original rabbit shorts he made for his website and going through pretty much everything. The rest are odds and ends, a short film by Lynch of a ballerina dancing, Lynch showing you a recipe, a stills gallery and three trailers. Studio Canal, has a collection of interviews with Lynch recorded at different festivals and places. They do get a little redundant at times, with Lynch telling the same anecdotes to different audiences.but each has at least some original material. There's also an audience Q&A in there to spice things up, and one piece focuses on his paintings at a gallery showing (though he does also get into Inland Empire a bit). That's it, except for the trailer. It's pretty good stuff, but doesn't compete with what the old DVD already had. It compliments it alright. Well, not great actually; the repetition is worse with Lynch's extra interview on the DVD added to the others. But it's not bad, and devotees of this film will probably want to get every little possible bit related to this film they can get their hands on. And for those Lynchians, there's more everything to get. 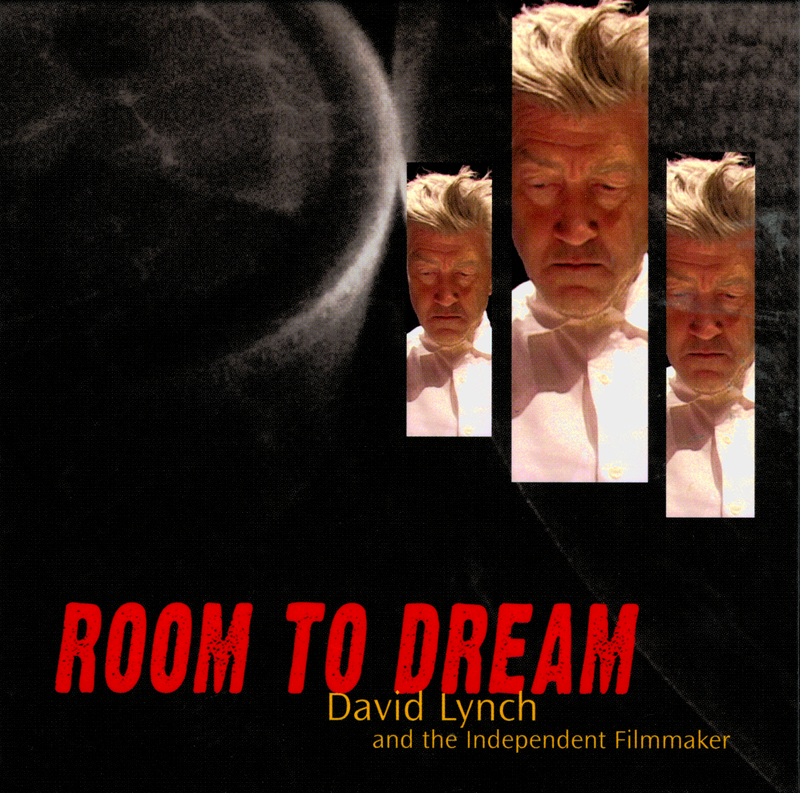 Room To Dream: David Lynch and the Independent Filmmaker was a freebie DVD you could get just by contacting Avid. That's because it's essentially a glorified ad for their editing software. But it is our guy talking about it, and giving you a chance to "take a journey through David Lynch's creative process." For serious Lynch fans, it's kinda neat. Oh, but wait! Also on this disc is a sneak peek at the film he was working on at the time... which of course was Inland Empire. And the material we see turns out not to have been in the final cut of the film. So it's essentially an exclusive deleted scene. No, it wasn't in "More Things That Happened" either. We get to see some behind-the-scenes footage of Lynch directing the scene, and then the scene itself. 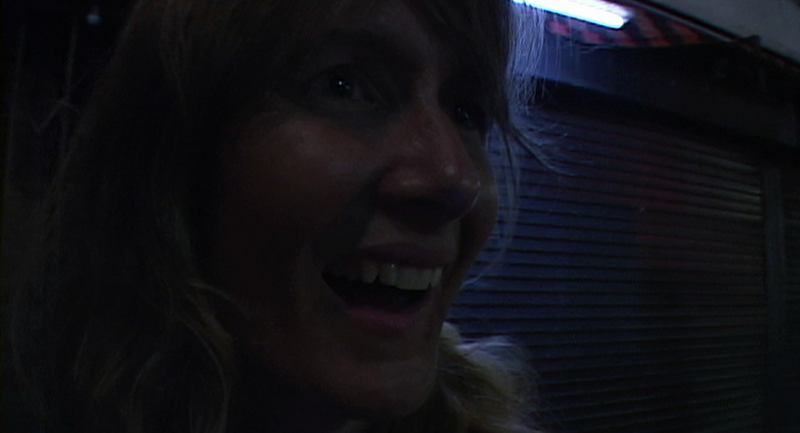 The scene itself is just over 6 minutes long with characters in the barbecue scene (where Dern was with her "other" husband). So another tiny piece of the puzzle. And one of the other segments is really Lynch talking about digital filmmaking in general, rather than just plugging. And it's all listed separately on the menu so you don't have to ever watch the Avid guy pitch his software. No, you can't get it from Avid anymore, but a lot of these were floating around back in the day. So if you hunt around online, you can probably find a copy. Amazon has a listing for them. 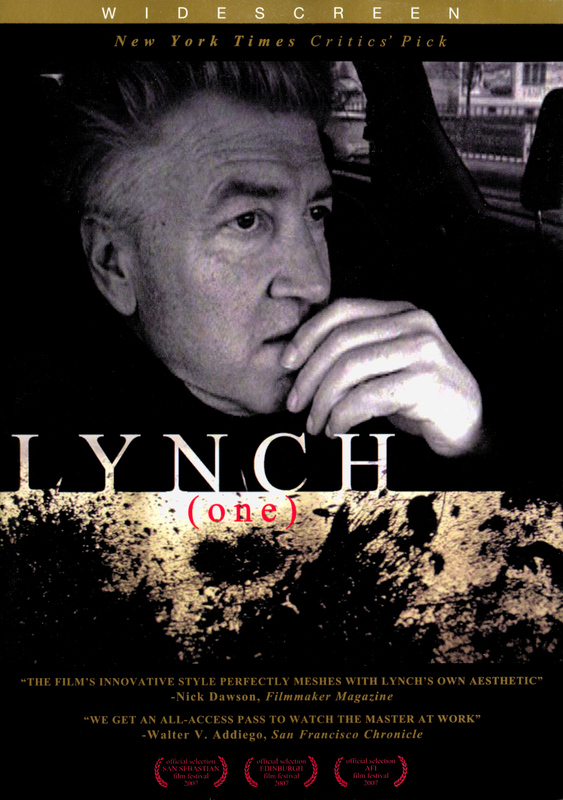 And if you still want to see more about the film, you should definitely check out Lynch (One). Lynch (Two) was the 30-minute making of on the Rhino disc, but Lynch (One) is a full-length documentary made while Lynch was making IE. So, no, (One) isn't entirely about IE. A lot of it is about his artwork and the rest of his life. But a good 50% of it is looking at Empire directly or indirectly. We see him on set, we see him talking to the cast and explaining scenes. We see him first announcing the film to his website subscribers before it was made public. It's not the greatest documentary... the filmmakers seem a little too under Lynch's thumb, and enamored with showing us everything from his filmmaking to how he likes his coffee. It's an interesting peek into his life, though, that's for sure. We have one scene where he's giving instructions to his intern: "You can make short work of it. Meditate per usual. 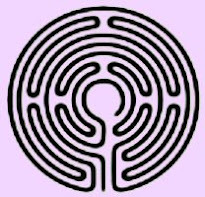 And when you've finished meditation, you write on a piece of paper three names. 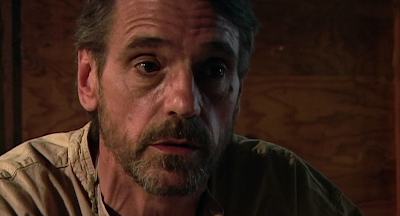 An actor in his forties, probably, that is a leading man with an edge, like a bad boy of Hollywood leading man. And you write those names on a piece of paper and present them to me on our power walk." How'd you like to work for him? So anyway, there's a lot of good stuff in here, especially about Empire. And Lynch (One) has its own extras. Most of it is kind of for die-hard Lynch fans only. More footage of him, his art... there's a gallery of one of his photo collections. 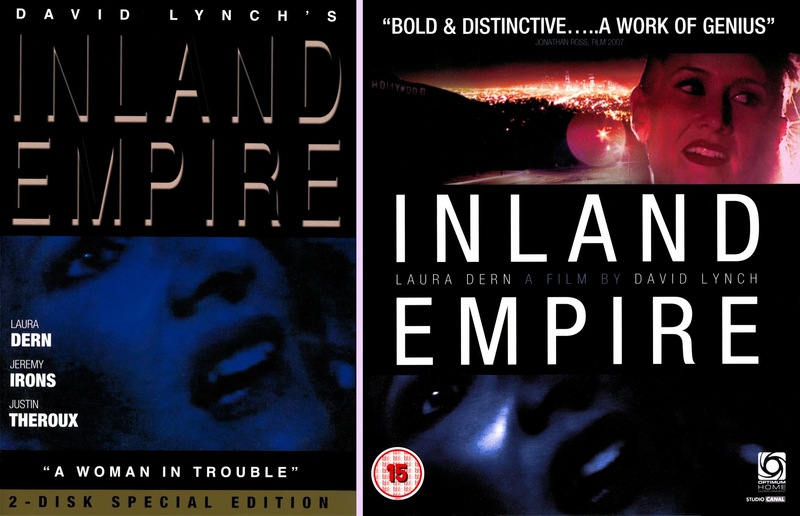 Not much about Inland Empire, except for the trailers for the other Lynch docs. Yes, there's a Lynch (Three), and the whole trailer is just a clip of him working on the song "Strange" from Empire. Now, the doc is from 2008, so a lot of people might've given up on (Three) ever actually materializing. But I just looked up their kickstarter, and they have 2015 updates saying the film is finally finished. So look out for that one, too. So, yeah, the opportunity is out there to really gorge yourself on Inland Empire if you really want to. And honestly? I recommend it. It's a fascinating film that doesn't stop rewarding you as you delve deeper into it. Granted, the blu isn't so much of an upgrade that casual fans need to bother trading up. But serious Lynch fans, don't resist. It's all worth it.